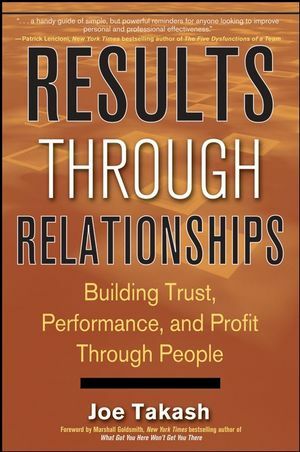 “This book has a single focus on one goal: apply the behaviours that get better business results faster from your working relationships,” says business consultant Joe Takash, author of Results Through Relationships. People who say business relationships are soft or “touchy-feely” are clueless, says Takash. Instead, he believes that these relationships and the breakthroughs made in them open doors and expedite bottom-line results. For more information, or to order the book, visit www.wiley.ca.